← NoVa Caps Looks Back at the Top Moments of ’15-’16: #4 TJ Hat Trick & OT Game Winning Goal – Inspiration Provided by Lyla! In part three of our “get to know the contributors” series (Aaron Davis, Joe Noyes) we introduce you to NoVa Caps credentialed game and practice reporter, Stephanie Judge. 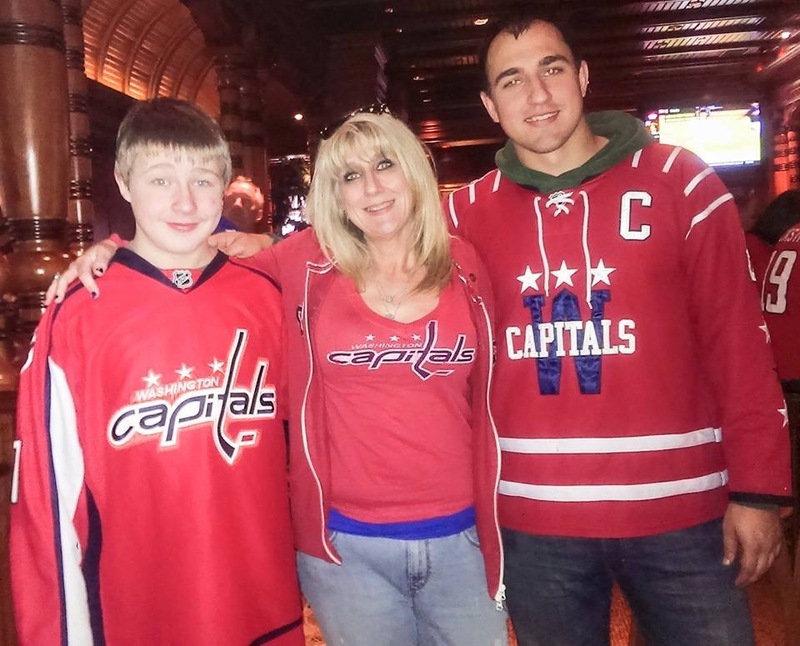 Always an avid sports fan, after Stephanie attended her first Capitals game, it was clear she was on the fast-track to becoming a Washington Capitals super fan. She started going to almost every home game and soon thereafter, was finding her way to Kettler for practices on a regular basis. 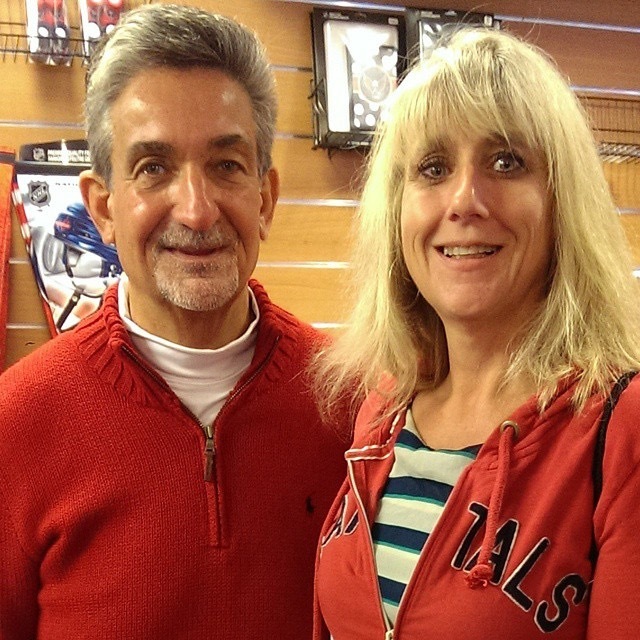 She became obsessed with eating, sleeping, and breathing Capitals hockey, earning her a “crazy hockey lady” moniker from her sons, pictured with her below. Given her newfound passion for the Capitals, it was only natural that she should combine it with her long time love for writing. 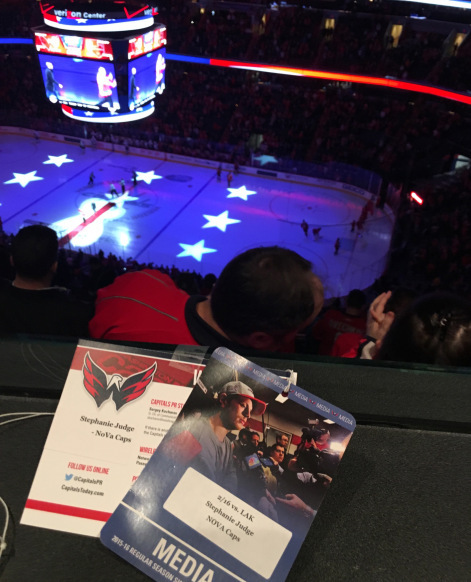 Being a writer was her childhood dream and NoVa Caps provided an opportunity to expand her experience from professional, technical writing to something she loved, the Capitals and hockey. Stephanie was an early contributor to NoVa Caps and our first team member to provide game coverage with NoVa Caps media credentials. 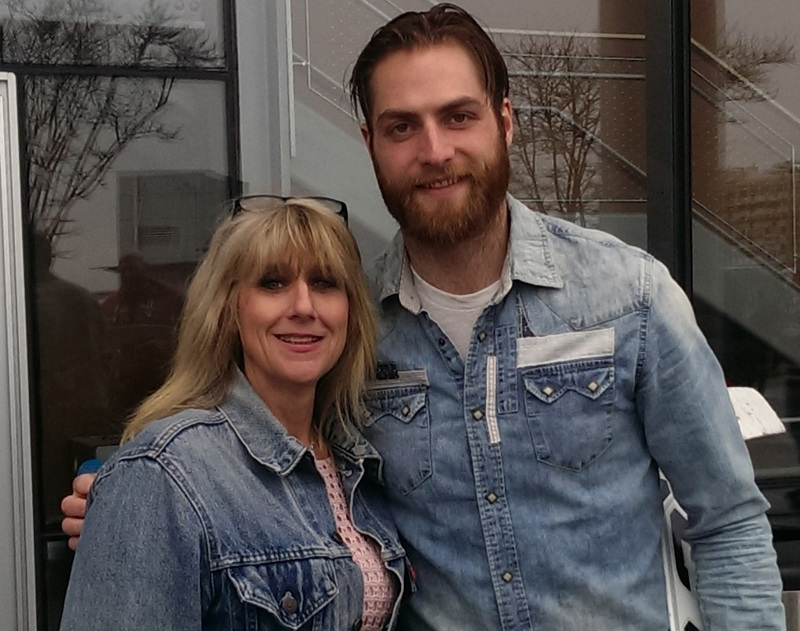 She has been privileged to witness the backstage antics at Capitals games such as hallway hockey matches with Braden Holtby and John Carlson, seeing P.K. Subban get a pre-game scolding from security, rubbing elbows with goalie coach Mitch Korn and General Manager Brian MacLellan in the press elevator and going through security with Nicklas Backstrom (yep, the players get wanded just like you and me). Stephanie is an avid foodie and when she’s not catching a practice at Kettler or covering a game at Verizon you may find her sampling the food selections of DC’s hippest restaurants, writing her Yelp reviews, or tooling around DC with her camera. By day, she is an ardent promoter of energy efficiency vehemently striving to change the way we use energy so we conserve our resources for the future. Stephanie lives in Burke with her two sons and three Labrador retriever rescue dogs Buddy, Angus and Charley. This entry was posted in News and tagged Stephanie Judge. Bookmark the permalink.